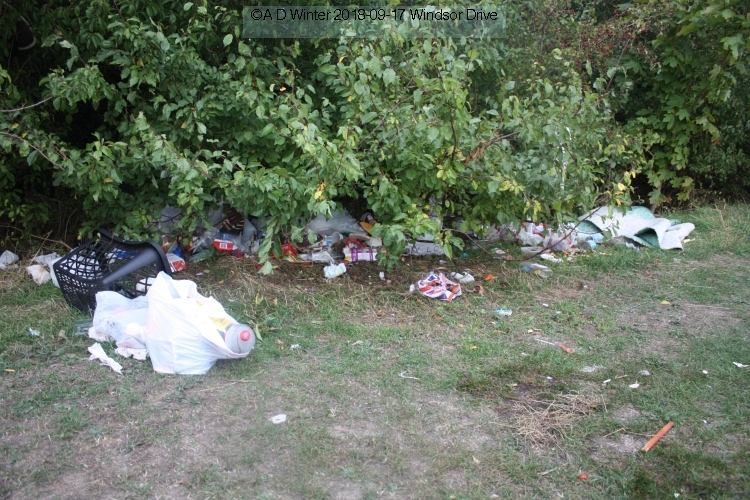 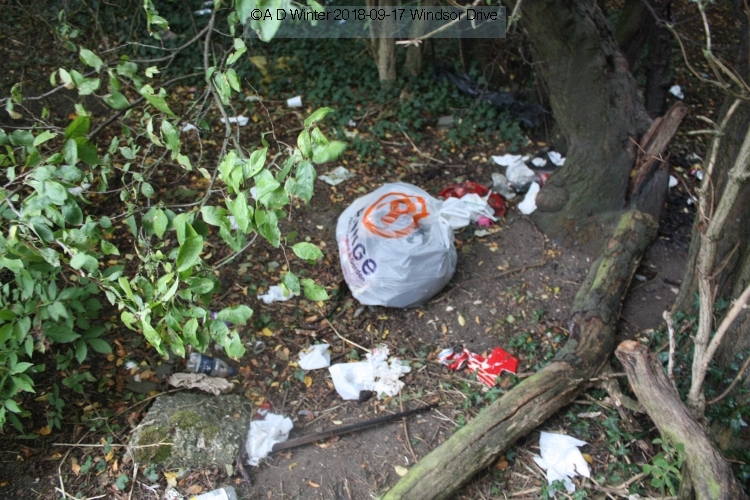 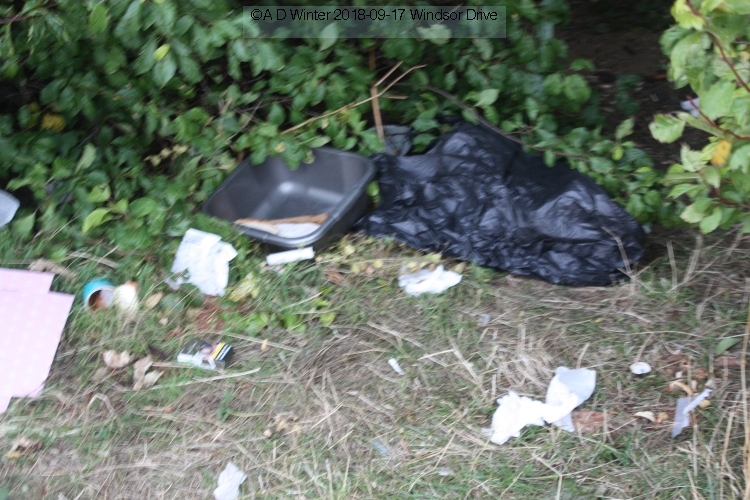 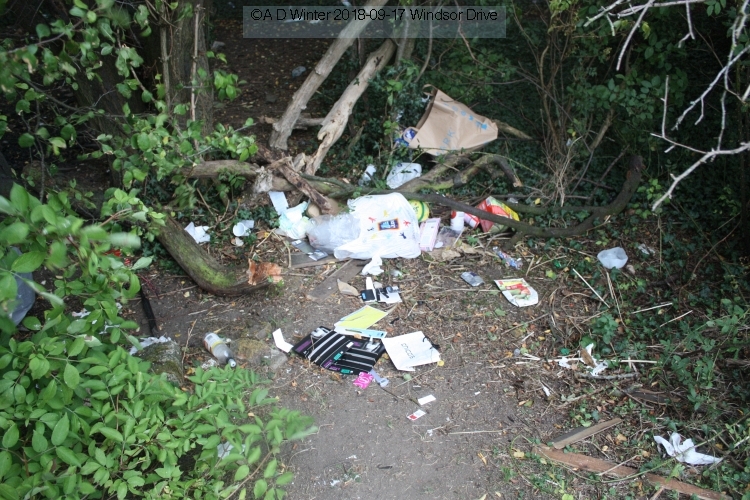 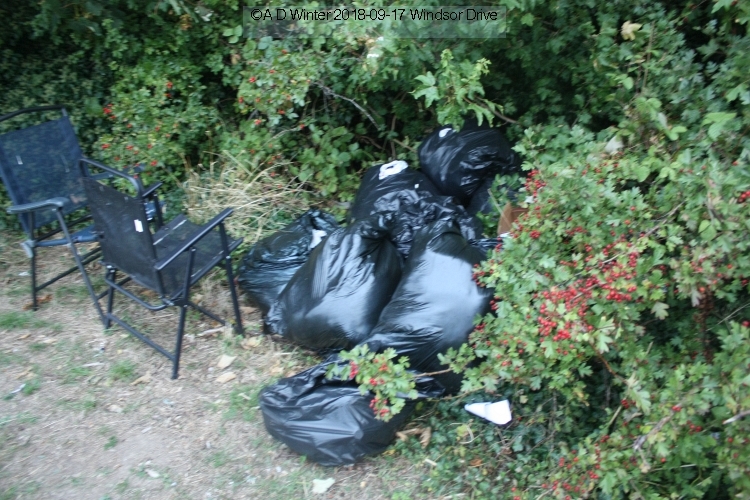 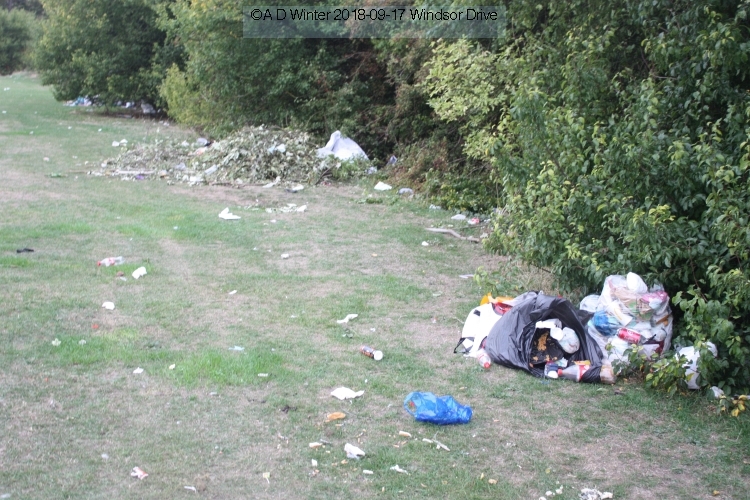 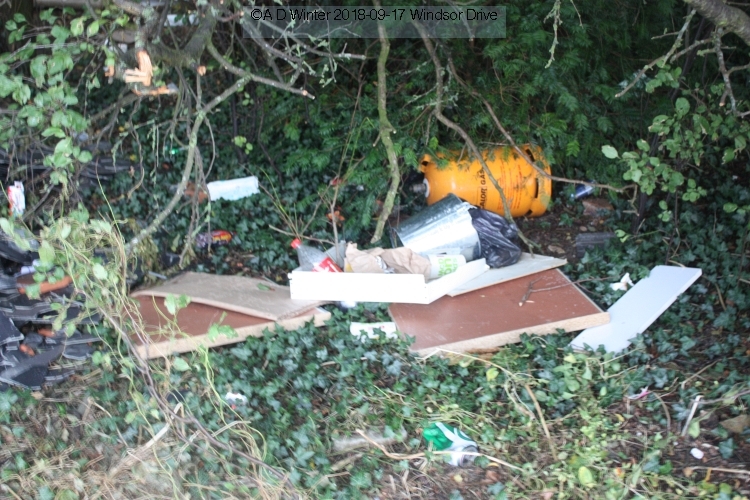 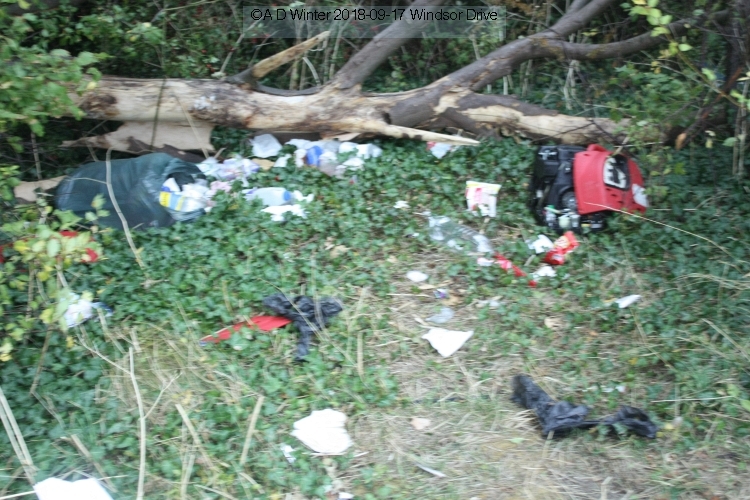 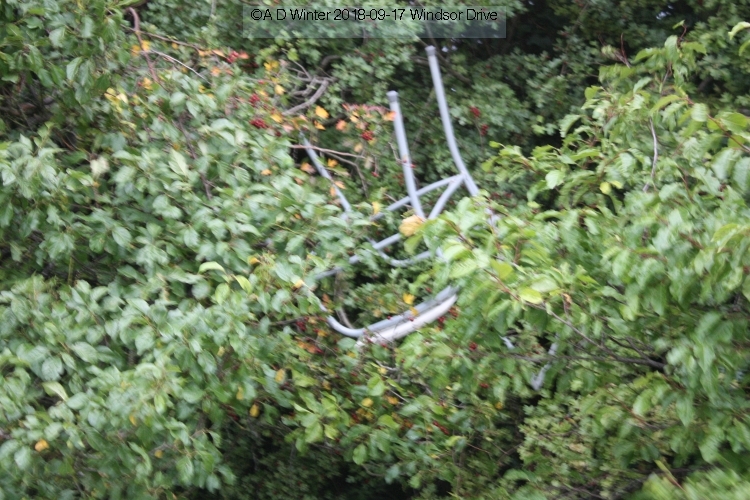 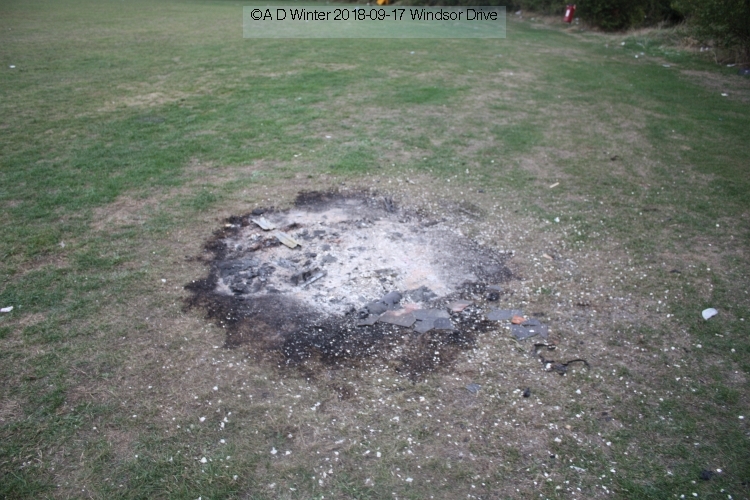 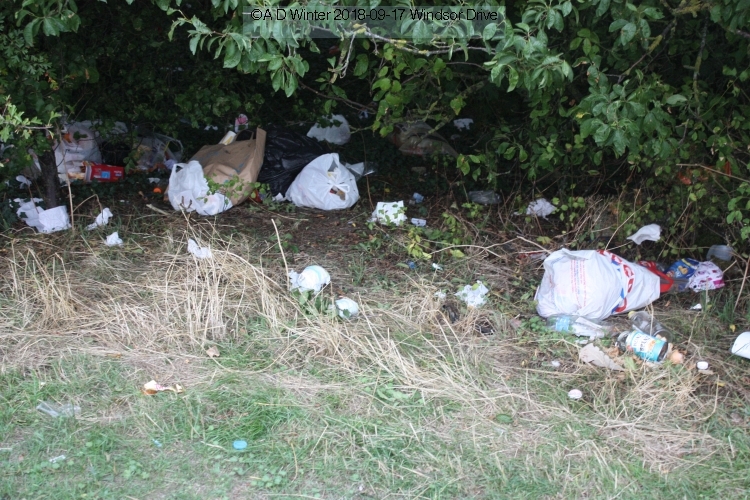 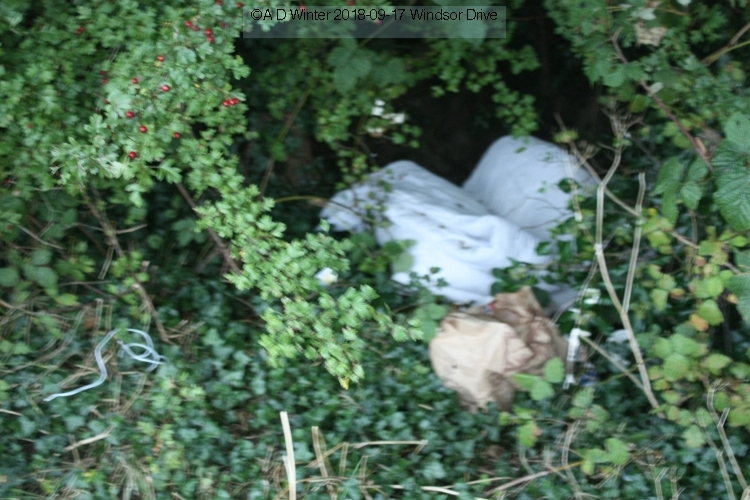 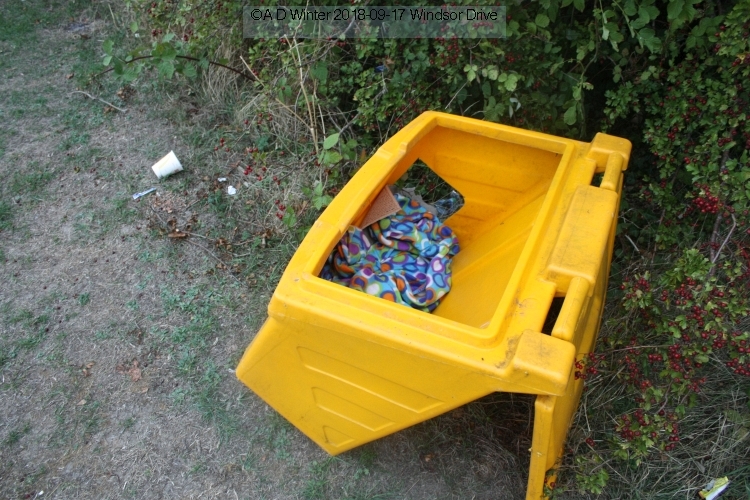 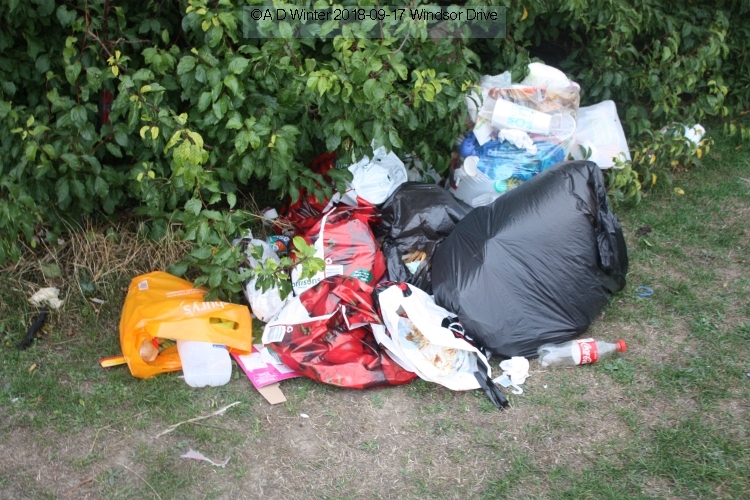 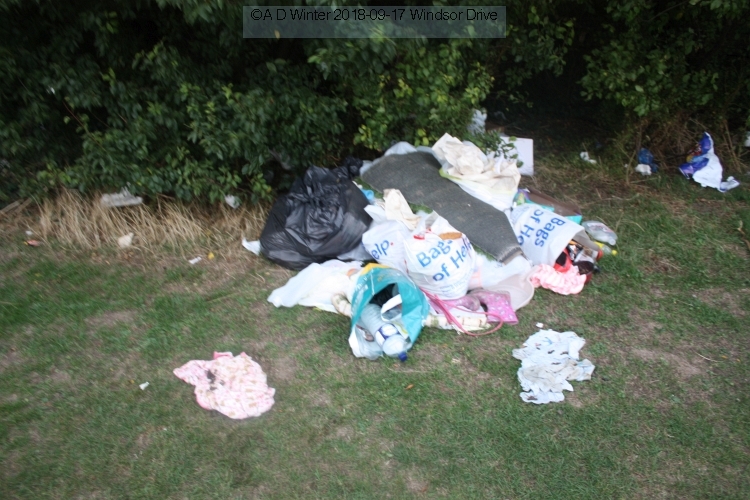 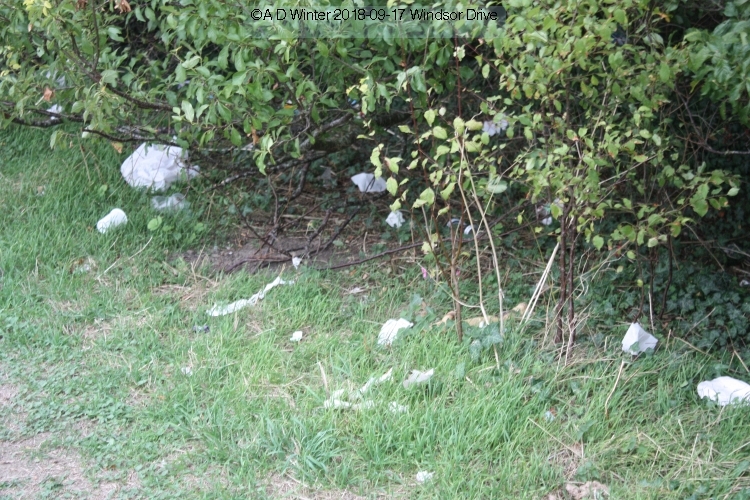 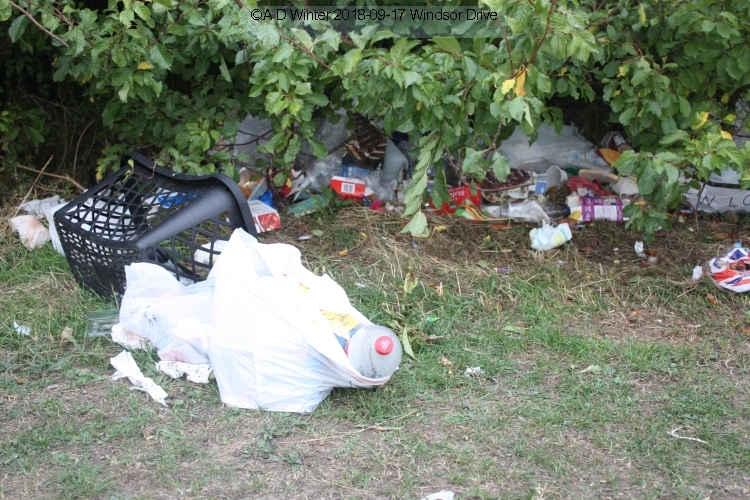 7.45am 17 September 2018 and this is the mess left on and by Windsor Drive Recreation Ground in Houghton Regis after travellers departed on Sunday 16th September. 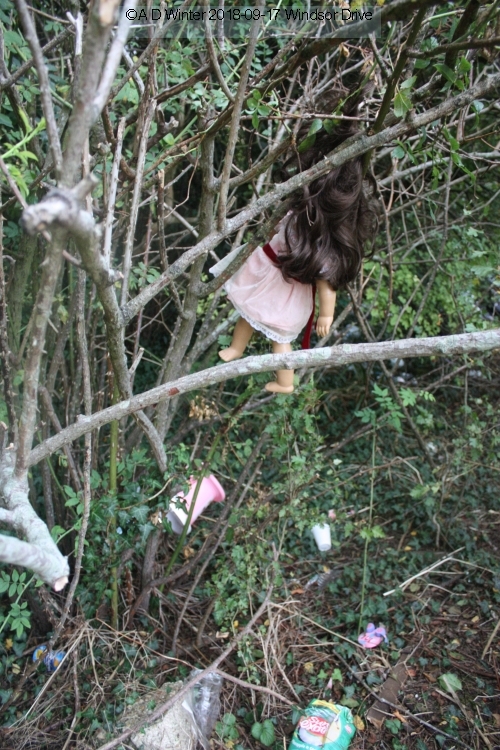 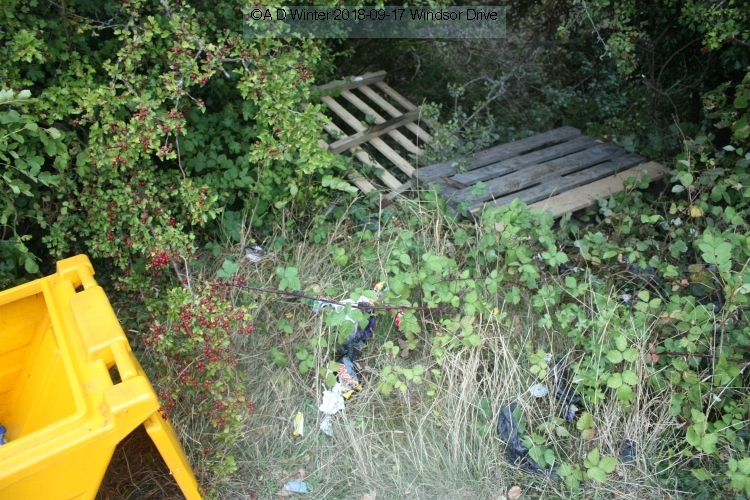 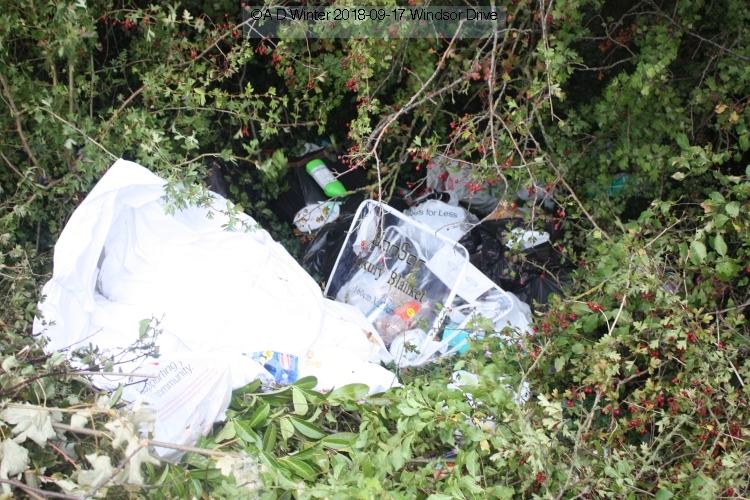 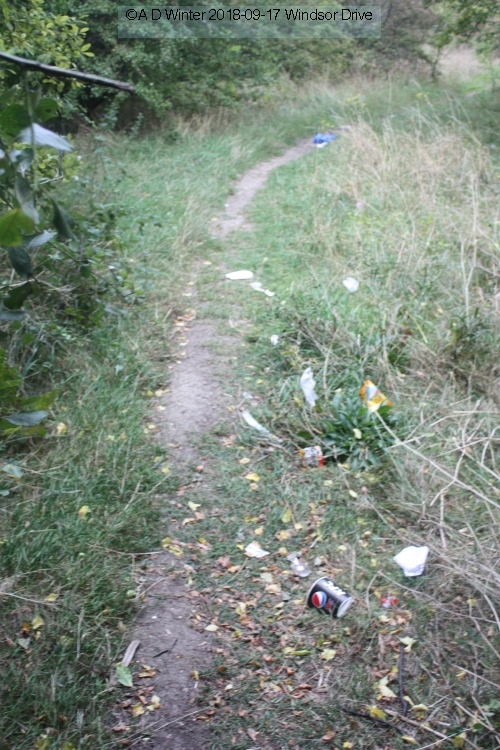 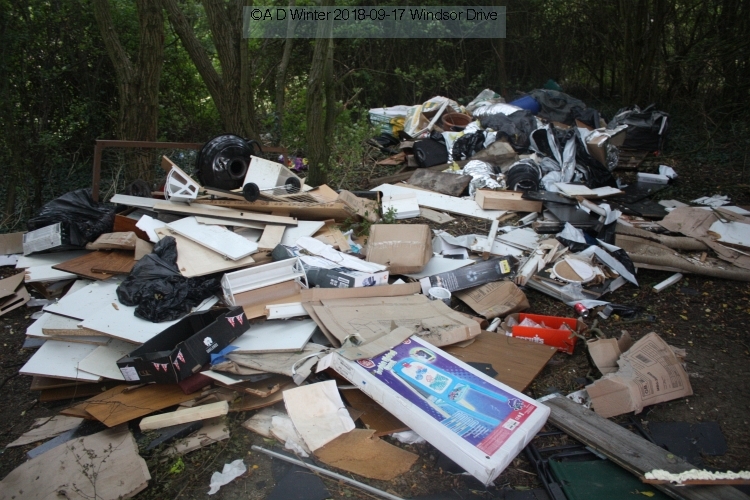 At least two truck loads of general builders rubbish is dumped in the adjacent woodland. 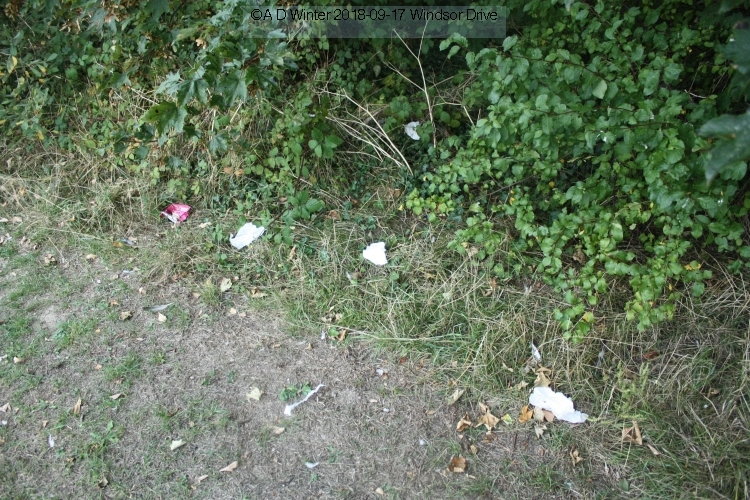 Along with that is tissue papers, bags of rubbish, old toys, unwanted fold away chairs, gas bottles, and on and on and on. 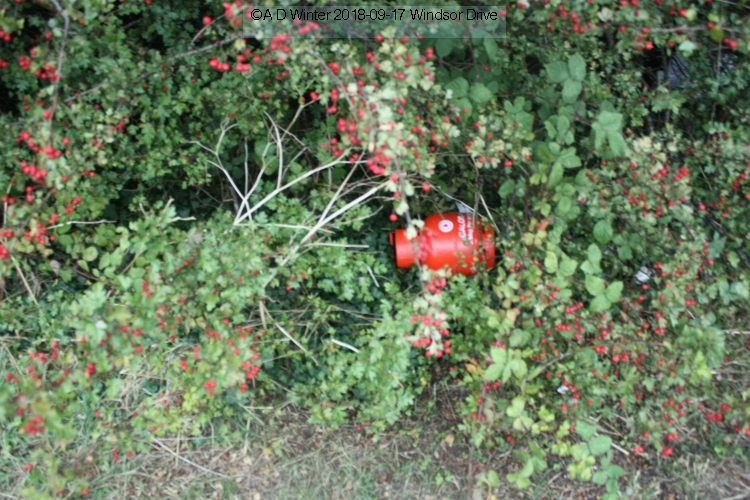 If there is any saving grace, the edge of the field has always had a limited amount of discarded plastic bottles and cans, one presumes left by idle walkers in the area. 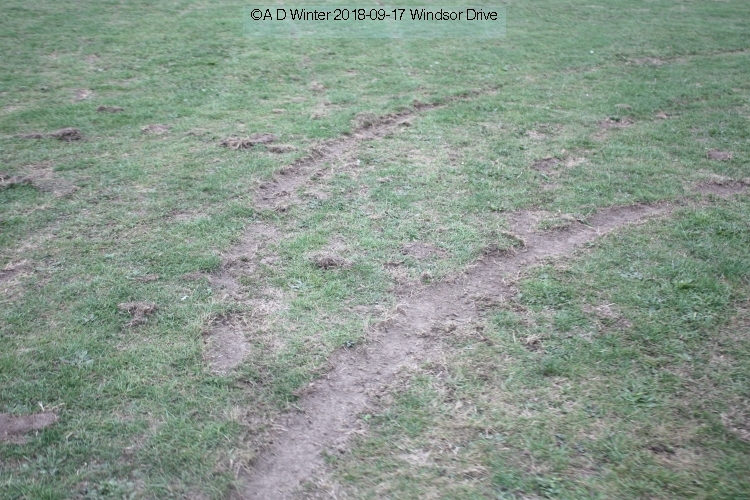 Tyre marks show where the travellers have done doh-nuts in vehicles. 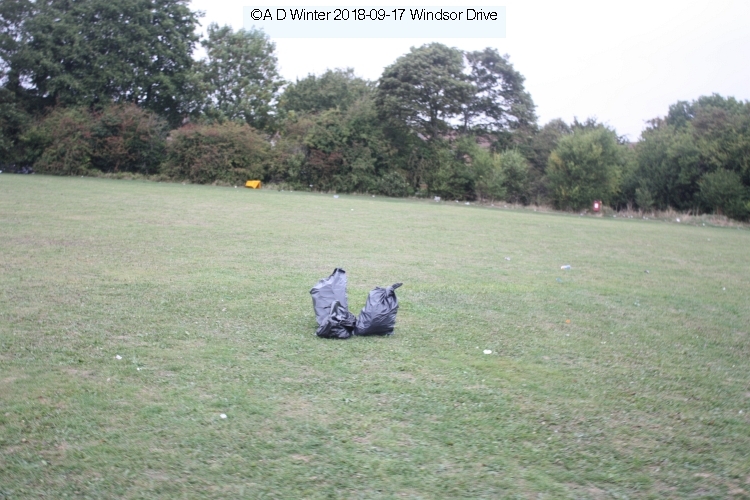 Passers-by watched helplessly during the encampment as children were allowed by grown-ups on the encampment to drive around and around the field. 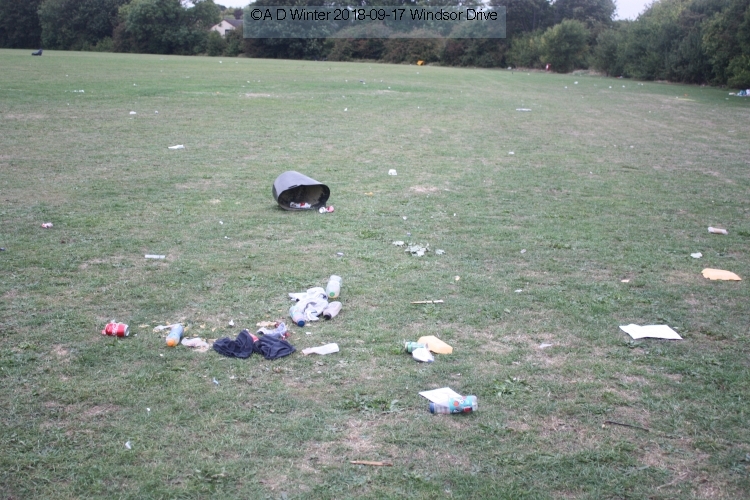 Emails to the Encampments Officer at CBC are automatically responded to, "If you are reporting a new encampment, or providing additional information regarding one, please go onto the Central Bedfordshire website and complete the online reporting form found in the 'Unauthorised Encampment' section. 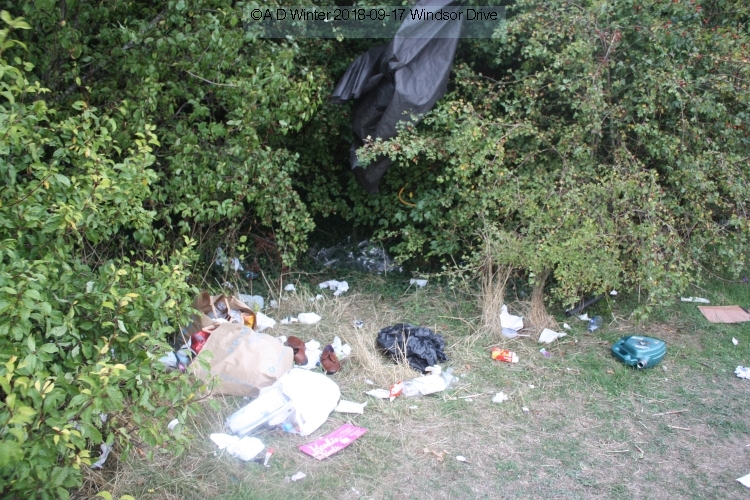 "For an out of hours response to an encampment, please also ring the Police on 101 or 999 if it is an emergency. 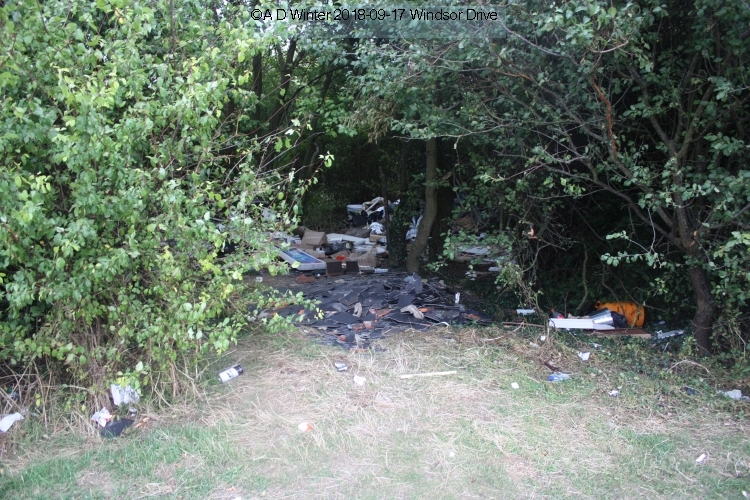 Please be aware that we are experiencing a high volume of encampments and for information relating to them. Unfortunately it may not be possible to respond to every request. 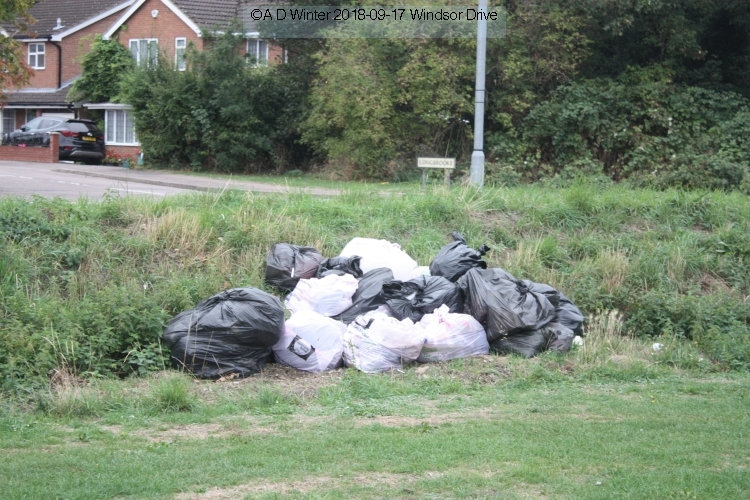 Alternatively, you can email encampment@centralbedfordshire.gov.uk, but priority will be given to the reports submitted through the online reporting form." 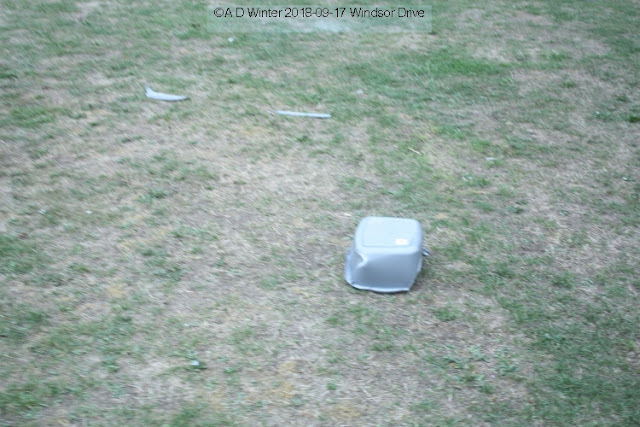 Click 'comments' to add yours. 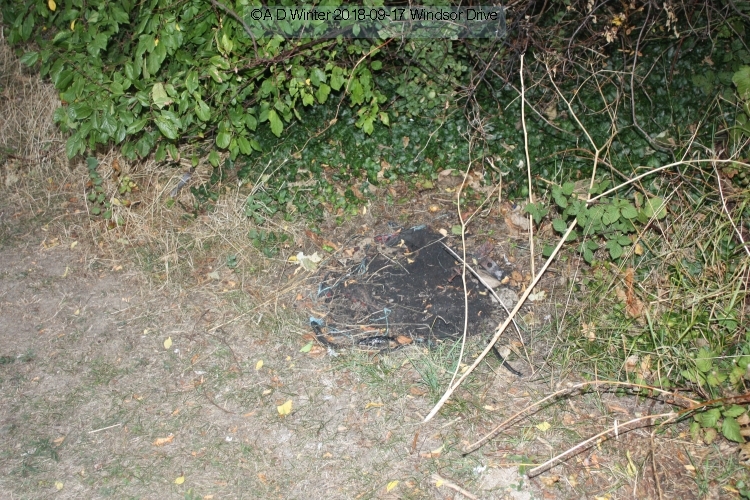 Updates may follow on this page.